BYU’s video conferencing solution is available for all faculty, staff and students. Business class desktop, conference room, enterprise IM, webinar and audio bridge solutions are delivered through the cloud provider Zoom. Zoom's web-based conferencing uses high-quality video and audio and is accessible on MacOS, Windows, iOS and Android mobile devices. Zoom allows video conferencing between single and multiple Zoom users and between standards based (H.323 and SIP) endpoints like Cisco/Tandgerg, LifeSize, Polycom, etc. Zoom allows for desktop sharing, white boarding, media sharing, etc between Zoom participants and some standards based endpoints. Content from internet based storage providers like Google Drive, OneDrive, Box, Dropbox or website url, can be shared directly from the Zoom application. Zoom can be used in conference rooms through a Zoom Room configuration.The Zoom solution is not designed for large classrooms that need multiple cameras but can be used in classrooms where simple distance learning is required. There is an additional charge for a Zoom Room configuration. Additional services are available such as large meetings and webinars. Contact 2-4000 to have either of these solutions enabled. There is not a cost for the standard webinar or large meeting services but are limited in the number we can offer. The standard webinar service allows for 100 non-participating attendees. You can use your NetID and password to use Zoom on any supported desktop or mobile device. Note: If you haven’t accessed Zoom before, and you have the appropriate rights, create a new account at zoom.byu.edu. Zoom is free to use for all current faculty, staff and students of BYU. 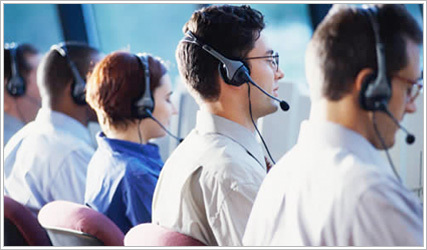 Toll free numbers for dial in audio conference are available on a monthly or pay as you go basis. Audio conference are free when using the standard long distance number associated with the Zoom meeting. The Zoom Plug-in for Outlook installs a button on the Microsoft Outlook tool bar to enable you to start or schedule a meeting though Outlook. Looking forward to more information and examples of using Zoom in the classroom.